Sarah was born in Falkirk in 1991 and began learning to play harp at age 11 after attending the 2002 Barra Feis (Feis Bharraigh). She was first tutored by Rosie Morton and then by Ailie Robertson. While still at school she attended the Junior Academy of the Royal Scottish Conservatoire and won the prestigious Scottish Music Prize. 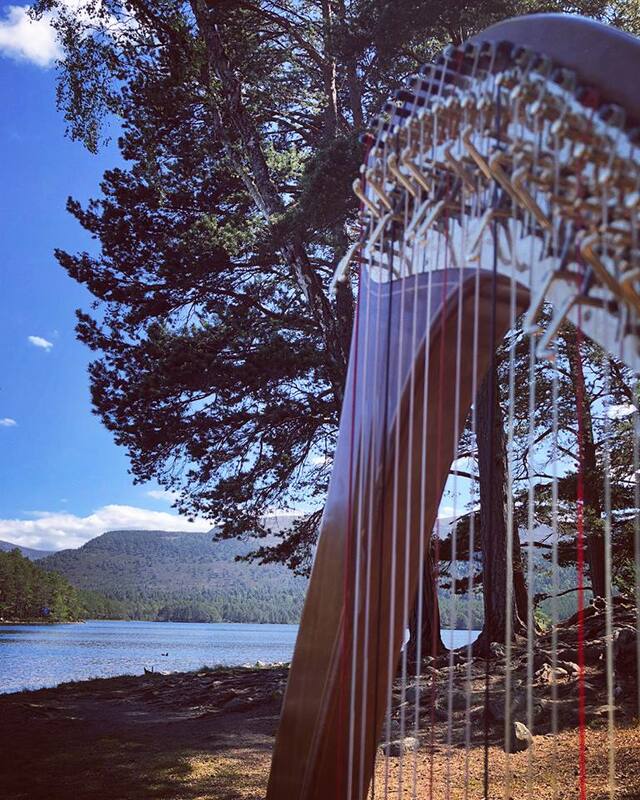 After four years of studying music Sarah is now a graduate of the Royal Conservatoire of Scotland where she has obtained a First Class Honours degree, specialising in Scottish music with electives in classical pedal harp, composition and teaching techniques. Sarah has performed at some fantastic festivals, venues and events including, The London Olympics, The Papal Visit, Interceltique Lorient Folk Festival France, National Celtic Festival Australia, Celtic Connections, The Edinburgh International Harp Festival, Glasgow and Edinburgh International Film Festivals and many more. Sarah is a ministerial harpist and regularly performs for the First Minister and Secretary of State at the Scottish Office, Bute House, Stirling Castle, Edinburgh Castle and the Scottish Parliament.